Rivet-In - This receptacle is riveted to the underside of the support. Mini Clip-In - This receptacle is installed in the support from the top. Snap-In - This receptacle is installed from the back or underside of the support. 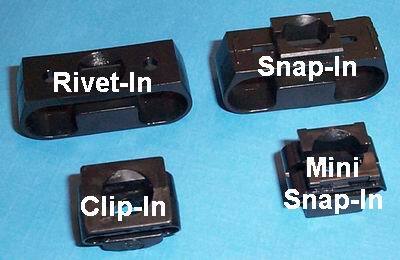 Mini Snap-In - This receptacle is installed from the back or underside of the support.